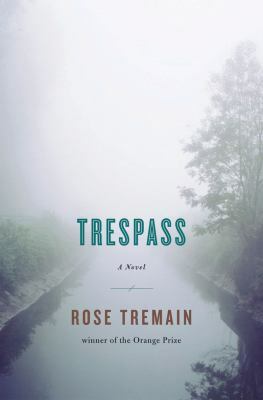 Trespass opens when a young girl, wandering away from a class trip, discovers a crime; Tremain uses this event to tell story of the roiling emotions that have led to this point. Anthony Verey, once a wealthy, celebrated British antiques dealer, decides that living near his cherished sister Veronica will cure his depression and give him a fresh start. Veronica lives in Provence with her lover, Kitty, who hates Anthony. He sets off to find the perfect house, one that will be an elegant setting for his “beloveds,” a few perfect treasures from his shop. Anthony’s quest made me think of David Sedaris’s comment about “the rejuvenating power of real estate.” (It appears in Dress Your Family in Corduroy and Denim.) But lest you think that there’s humor in Tremain’s book, I’ll remind you right away that this is a dark story, filled with the awful baggage the characters bring from childhood. Anthony is enchanted by Mas Lunel, an old stone house owned by Aramon Lunel, a dissipated, alcoholic wretch, who has relegated his sister Audrun to a makeshift cottage on the edge of the property. The rifts in their relationship are seismic and Mas Lunel looms as a symbol of all that went wrong. Anthony’s narcissistic interest in Mas Lunel as a canvas for his life sets in motion a chain of events with fatal consequences. This bare outline of the story doesn’t reveal that how Tremain’s damaged characters come alive on the page, with all their hopes and sorrows. I read an earlier novel, The Way I Found Her, several years ago and always meant to read more of her novels. Now I will. Below I’ve put together a short list of novels and memoirs about houses and how they affect family relationships. It’s a common dream that the place we live will change our lives. Anyone who reads the articles in the Sunday NY Times Real Estate section sees that weekly. This entry was posted in 2010 Fiction, Families-Fiction, Fiction, France. Bookmark the permalink. I just started Trespass and I like it so far. The Glass Room was incredible and the Lively book and the Barker book are already on my radar. My mom calls these books – books where the house is a character.